Transparency International, the anti-corruption watchdog released a survey of emerging market multinationals where it admonished Chinese firms for their opaque business practices and commended Indian companies’ comparatively high standards. Among the BRICS Economies that represent Brazil, Russia, India, China and South Africa, China had the lowest rating whose firms made up 75% of the survey’s total sample of 100 fastest-growing multinationals from 16 emerging countries. The survey also showed that Indian firms performed the best. Marked on the transparency of presenting measures to combat corruption, the reporting on their organizations and their discloser of data like expenditure, taxes and revenue, 75% of the companies scored less than 5 out of 10. Head of the independent pressure group based in Berlin, Huguette Labelle said that as companies from emerging markets expand their influence, they must grab the opportunity to play a wider role stopping corruption globally. Failure of around 60% of all the surveyed companies in disclosing information about their political contributions is one of the widespread shortcomings. In the report, Transparency said that according to the results, with an overall score of 20%, Chinese firms lag behind in every dimension and considering their increasing influence in global markets, this poor performance is of concern. Transparency said that in contrast to China, Indian companies perform best among the BRICS with a result of 54% and in the overall index, many occupy the top positions. This success of Indian companies is attributed to Indian laws where multinationals need to report on subsidiaries. Standing on Top of the overall index is Tata Communications Ltd from India, which also topped the category named, ‘anti-corruption program’ with 92%, followed by 3 more Tata companies. Transparency International said that public disclosure of anti-bribery measures confirm how much a company is committed to ethical conduct. It also makes it easier for the public to monitor them. For organizational transparency, the state-owned Emirates Airline came first, followed by China’s Johnson Electric Holdings and Petronas, state energy company of Malaysia. In this category, firms are marked on their disclosure of data such as the parent company’s percentages, the country of operation and incorporation, and minority and majority holdings. Transparency said that these are all categories that are often made deliberately opaque to hide the proceeds of corruption. 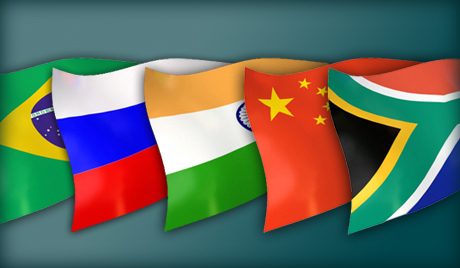 According to watchdog, BRICS countries account for 15% of world trade and 20% of global economic output. In a sub-index ranking consisting only the BRICS nations, the companies were topped by India, followed by South Africa, Russia, Brazil then China.